Wendy’s had a way with talking, or tweeting, with its customers. No other chain was doing things like this juicy hamburger-maker. Things got real real quick when Carter Wilkerson of Reno, Nev., came into the picture. Now, Carter is at 3.2M RTs with his official hashtag, #NuggsForCarter, and he’s gained some fame from all of this. 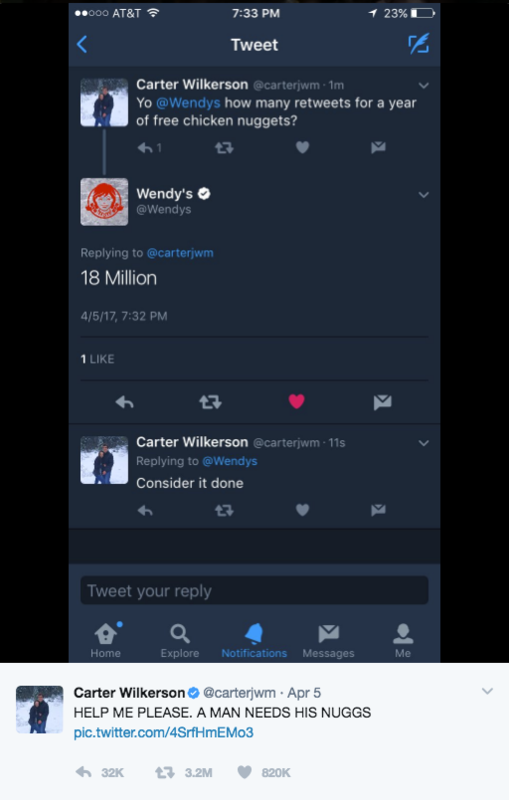 It may have been fun and games for Wendy’s, but they may be paying the latest social media star in nuggets really soon. Carter Wilkerson is getting recognized on social media by big names like @HollisterCo, @GoogleDoodles and the @TheEllenShow. 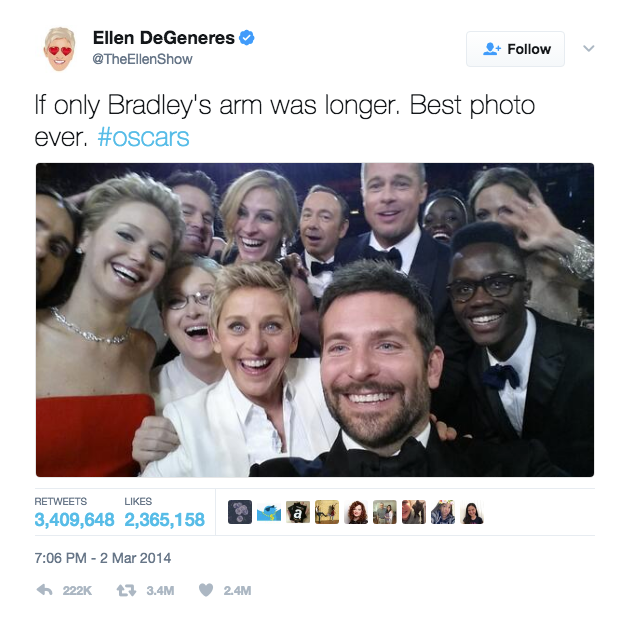 Could #NuggsForCarter soon dethrone Ellen DeGeneres’s awesome Oscar selfie from 2014? Make this a lesson. Never underestimate the power of social media. Use it wisely, and who knows? You may be getting your own nuggets out of it. Check out Carter Wilkerson’s website to learn how it all started, and what he’s doing to give back: https://nuggsforcarter.com/making-a-difference.